3. 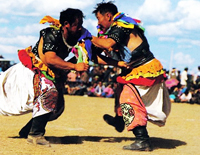 Enjoy Mongolian customs, meals, manners and hospitality etc. 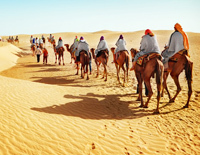 Hohhot, the capital of Inner Mongolia, is home to 36 ethnic groups including Mongol. It will never let you down when traveling to this “Green City”. In Hohhot, there are some fantastic cultural sites which have great significance in Buddhist history like Dazhao Temple, Five-Pagoda Temple etc. 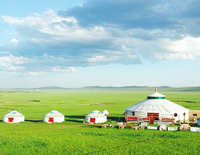 It is also the starting point for treks into the vast Xilamuren and Huitengxile Grasslands, all of which are ideal for experiencing the authentic Mongolian life. 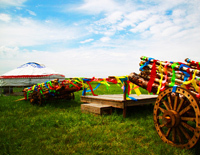 On the grassland, you could enjoy a wide variety of featured activities including horse riding, visiting the home of a herdsman’s family, roaming over the grassland, tasting the local cuisines…Don’t miss the Naadam Festival in each July where you could engage in the traditional activities like wresting, horse racing and archery, etc. 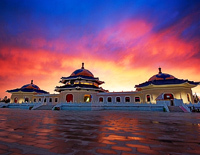 Combined your memorable Hohhot travel with side trips to Baotou, Ordos will amaze you to the fullest, presenting you the best aspects of Inner Mongolia. 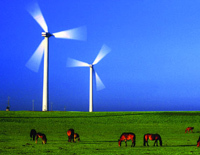 All the Hohhot Inner Mongolia tours are private, flexible and customizable at a reasonable price. 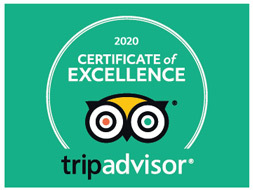 Come with China Discovery, let's DISCOVER now! 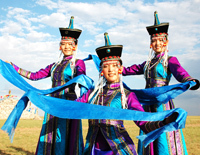 The 3-day short break offers an unforgettable experience in Inner Mongolia. You’ll not only explore historical sites in Hohhot city, but also reach Xilamuren Grassland to enjoy natural beauty and experience Mongolian ethnic features. In 5 days, by visiting Xilamuren Grassland and Resonant Sand Bay, you'll see two kinds of totally different landscape in Inner Mongolia! In Beijing, the past, present and future of a Chinese cosmopolitan city can be seen; while in Hohhot, you'll experience the best of Mongolian culture and a variety of landscapes and activities.